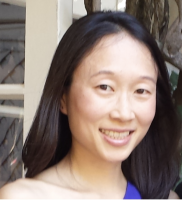 Jen Lui, Product Manager, Mobile App Ads, Google, Inc.
Jennifer Lui is a Product Manager on the mobile app advertising team, focused on gaming, ad formats, and creative management. This is her second stint at Google--she began her career as a Business Analyst for AdWords and AdSense, before leaving to obtain her graduate degree. Prior to rejoining Google, Jennifer worked at Spotify and Gap, Inc. where she led strategic product and business initiatives across diverse teams of product, marketing, sales, and operations. Jennifer has an MBA from the Fuqua School of Business at Duke University and holds a BS in Biomedical Engineering from the University of California, San Diego.